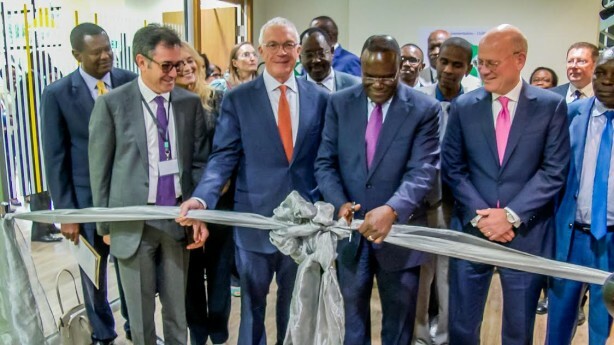 More Kenyan health workers are set to benefit from a Sh 1.3 billion skills and training facility launched by American multinational, General Electric. The investment targets 10,000 health professionals within the next three years in East Africa. In Kenya, GE will partner with Kenya Medical training College (KMTC) to train students on leadership skills, biomedical and clinical education courses. Initially, GE Healthcare Skills and training institute in Nairobi will offer clinical applications and technical training courses for practicing health care providers. The training will be offered at 98 health care centers spread across 47 counties as part of a seven-year deal the firm signed with the government on infrastructure upgrade and skills development. Kenya’s Health Cabinet secretary, Dr. Cleopa Mailu said government has allocated Sh 38 billion for implementation of managed equipment project to expand equity in accessing affordable and quality health care services. “Disparities across the counties in terms of health provision is wide, it is a deliberate effort to bring equity,” said Mailu. Abolition of user fee and free maternal healthcare are part of aspects in managed equipment projects. Cost of X-ray examination and hidden travel expenses he said was making access to healthcare out of reach for marginalized counties like Turkana. “These services are only available in level five hospitals,” said Mailu. The new institute builds on the ministry’s Sh 42 billion health modernization programme-seeking to improve access to radiology services and increased operational performance as stipulated in 2014 human resource strategy. General Electric Africa President and CEO, Jay Ireland said the firm has managed to improve infrastructure for 74 healthcare centers and was looking to complete remaining 20 in the course of the year. “A target of 10,000 trainers is an ambitious goal but we are looking to it,” said Ireland. GE also signed skills building partnerships with global partners intraHealth and management science for health. The investments are part of the firm’s billion dollar investments in Africa.